... bringing some happiness to your next lazy day breakfast or brunch. Gordon Ramsay has this cookbook where he states that breakfast is the most challenging meal of the day, even for a chef. I can say I totally side with him. I usually wake up happy and full of energy, but even so, it's not like I'm jumping on air over running to the kitchen and start cooking right away. It's a bit hard for me to believe that anyone wakes up with this much energy. Plus, for some reason I don't quite understand, it makes me mostly desperate having to wait one hour for breakfast to be ready. Made this for my Italian 'family'. It's so sad you're leaving, guys! 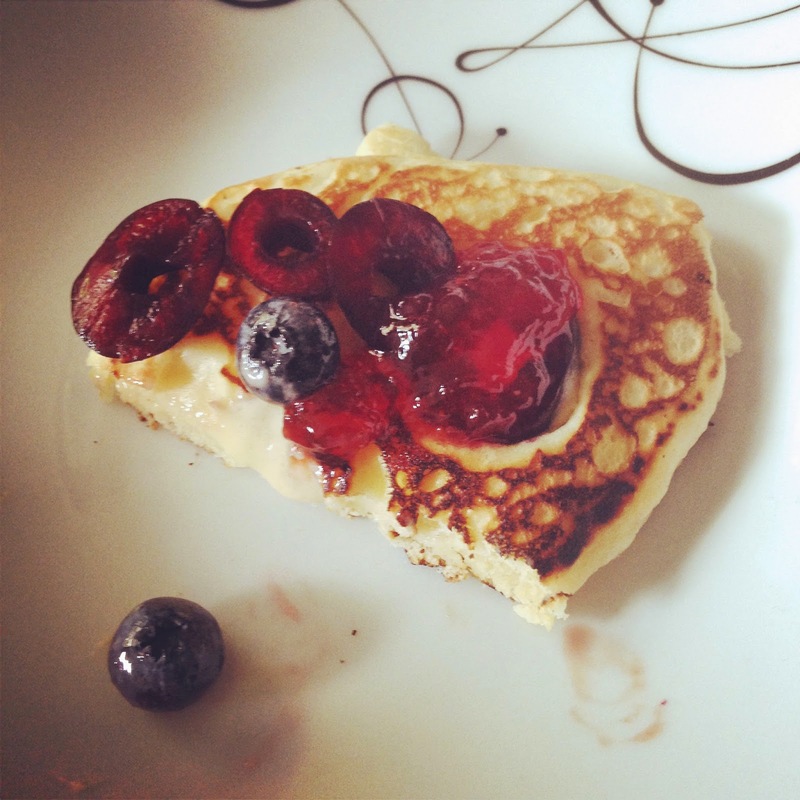 I must add that this is now my absolute favourite pancake recipe. I used to make them with baking soda, but this time I changed the recipe a bit and I'm pretty satisfied with how they turned out. 6) Opcionalmente, pressionar mirtilhos ou rodelas de cereja sobre a massa já na frigideira, ou misturar funfetti na massa antes de cozinhar. 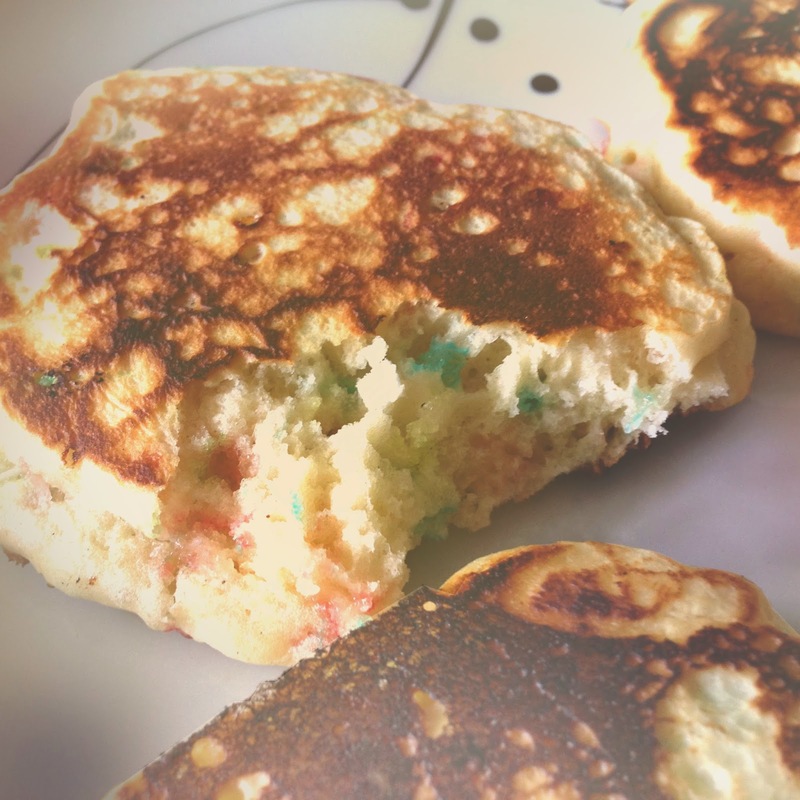 6) As an extra, push some blueberries or cherry slices into uncooked top of the pancake, or mix funfetti in the batter before cooking them.